Please note that the content of this book primarily consists of articles available from Wikipedia or other free sources online. Mt. 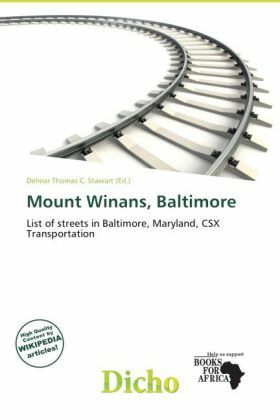 Winans is a mixed use residential, commercial and industrial neighborhood in southwest Baltimore, Maryland. Its north, south and east boundaries are marked by the CSX Railroad. Hollins Ferry Road draws its west boundary. The neighborhood was named after Ross Winans, an inventor of railway steam engines. The Baltimore and Ohio Railroad, the oldest common carrier railroad in the United States, built its original main line through Mt. Winans in 1828 to 1829.